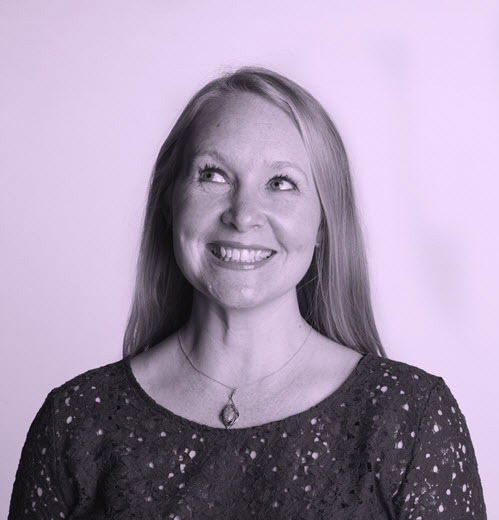 with real-world application, and brings the power of psychic and energy work, reiki, and intuition to both her one-to-one coaching clients and to audiences across the globe. She has personally trained and coached thousands of business owners to be the very best that they can be, and through her articles, books, talks, and programmes, she’s positively touched hundreds of thousands of people’s lives. Helen has earned a reputation as the ultimate catalyst of change, and is a true intuitive force for good. From as far back as I can remember I have seen and communicated with Spirit. Our family home had a number of ghosts, one of which was a wonderful gentle nurse from the early 1900’s. Seeing, hearing and sensing ghosts, prophetic dreams and trusting my intuition and inner guidance to avoid potentially negative situations were all a part of my life from very early on. I had devoured all of Doris Stokes books on mediumship well before I was 12. I started reading Tarot when I was 14 and also discovered a natural ability for dowsing with a pendulum. I attended courses and workshops whenever I could from the age of 18 and found a deep affinity with crystals and the native pagan culture of the British Isles. I trained as an alternative therapist and became a Reiki Master. I loved Reiki straight away and knew without a doubt that I had to teach others about it. The self-empowerment, the wonderful healing stories, and the changes that it facilitates in people are all amazing. I started running courses as soon as I could and continue to do so, seeking to make it as accessible to everyone as possible. Over the years my psychic side became more prevalent and I also realised how empathic I was. I feel the emotions of others, the joy, the fear, and the pain. This can be difficult sometimes but I’m also able to see their potential, which is inspiring. Throughout my twenties I worked closely with friends of like mind, some much more experienced and some at a similar point to me. We discovered more and more about ourselves, our abilities and how to tap into our inner power and knowledge. We debated spiritual philosophy and universal mysteries long into the night. I continued to do card readings and dowsing but also developed other skills including Psychometry and Mediumship. I was invited to join a psychic development circle where I met and started working with Diane and others. I found that I was drawn to and had the ability to do ‘rescue work’. In layman’s terms this is performing something like an exorcism, a horrible phrase conjuring many negative and scary images, but one that most people will understand. Basically I’m good at getting rid of unwanted and problem ghosts. A haunted antique cauldron being the first, and most unusual, situation that I came across. At 30 I relocated to Shropshire I found myself with a very definite purpose. I had to share my acquired knowledge and understandings with a larger audience. I was running workshops and a website for personal, spiritual and psychic development and had also started writing. Books began to take shape and I knew this was the next step for me. My journey so far, punctuated by many paranormal experiences, has been a massive learning and development process, and I continue in this every day. I know that I’m connected to the Universe as many seeming coincidences continue to put me in front of the right person at the right time, in a better place, or out of harm’s way. I don’t consider myself to be special, I have simply chosen to actively pursue this avenue, to open to and connect with the Universe and to develop my own natural abilities, to ask more questions and look for more answers. I enjoy helping others to do the same. I guess I’ve always had psychic and spiritual experiences, though for many years I didn’t understand them, or even acknowledge them. I had an idyllic childhood, was blessed with a wonderful family, and did well at school, but I always felt different somehow. I didn’t feel better than anyone else, nor indeed worse, just different. Perhaps the sensitivity to Spirit around me, strange dreams and even stranger trance experiences that I had all contributed to my ‘feeling different’. That feeling stayed with me until I embraced my spiritual side during my mid 20s, and as clichéd as it may sound, finally found my true self. My spiritual journey began in earnest when facing upheaval in my personal life. I felt drawn to have a Tarot reading, the first one I had ever had. The cards told an amazing story, describing exactly what I was going through at that time. I was also told that I was a healer, but at that point I had no understanding of what this meant. Upon returning home, my sister jokingly said ‘well if you’re a healer, heal my headache before it turns into a migraine.’ I didn’t even know how to go about it, so between us we kind of guessed that I should put my hands on her head. To our immense surprise her headache did disappear! My curiosity and a series of amazing synchronicities led me to ‘Petals in the Wind’, a group that was run by Carol, a medium and healer. Carol was kind enough to teach me all she knew about healing, and I quickly became a permanent fixture at Petals’ meetings. I was fortunate to have plenty of time to pursue my new found interests, and over the next few months I went to every workshop I could, joined circles, read books, visited spiritualist churches, debated with like-minded new friends – anything that could further my knowledge. It was a time of rapid learning, facilitated by amazing teachers. To this day I remain passionate about teaching people beginning their spiritual journey as a way of returning some of what I was given when I was starting out. That was all more than ten years ago now, and although ‘Petals’ has evolved and changed in many ways since those early days, I’m proud to still be a part of it. I owe a huge amount to my wonderful special fellow members who I always count as my second family. I was also blessed to meet Helen through ‘Petals’. Years later we found out that the first time we had worked together we had secretly been in awe of each other. We had both felt nervous as we’d perceived the other to be far more spiritually advanced than ourselves! Interestingly, our great friend Janice predicted that we would work together in a business venture, before she had even introduced us to one another. This book proves her prediction right. 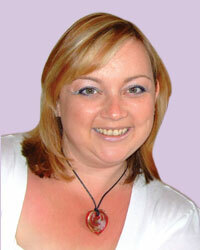 I was also lucky to have Helen become my Reiki Master, passing her knowledge and love of Reiki on to me. My passion for Reiki remains with me and I run regular Reiki courses. I feel privileged to be able to pass on my knowledge of this wonderful healing method to as many people as possible. Additionally I run psychic development workshops with ‘Petals’, as part of my ‘mission’ to help people who are exploring their spiritual pathway. Through these workshops I have learnt as much as I have taught. Over time I have developed many aspects of my spiritual and psychic side, including Rescue work, Angel Card readings, trance mediumship, automatic writing, crystal healing and reading auras to name but a few. I have worked with some amazing Spirit Guides who have patiently helped me along the way! It is a lifelong journey and I am always eager to discover more, and to help others do the same.